The two Twin Veranda Cottages are perfect for families or friends who want to be side-by-side, but maintain their privacy by offering adjacent accommodation in two separate cottage units. 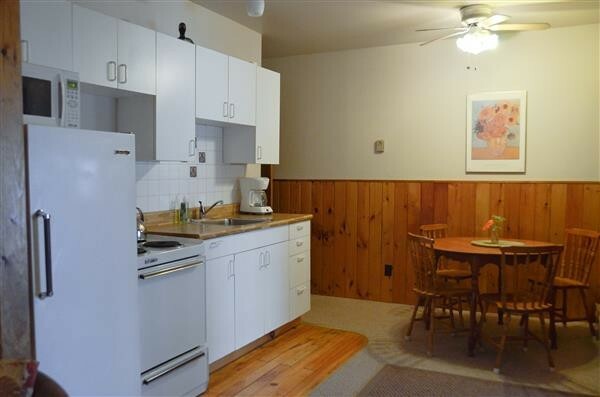 These housekeeping cottage units feature cedar exteriors, knotty pine interiors, ceiling fans and carpeting throughout giving them that warm, cottage feeling. 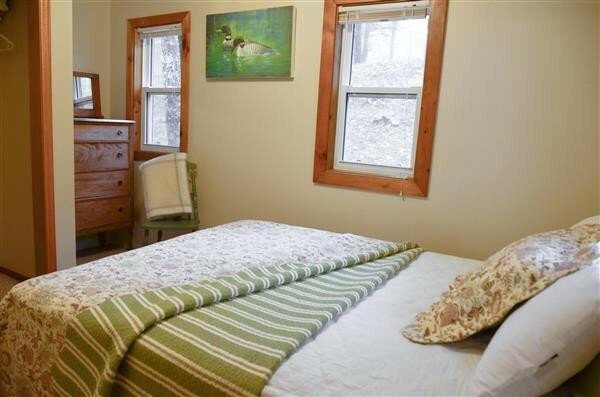 Each Twin Veranda cottage features two bedrooms; bedroom no. 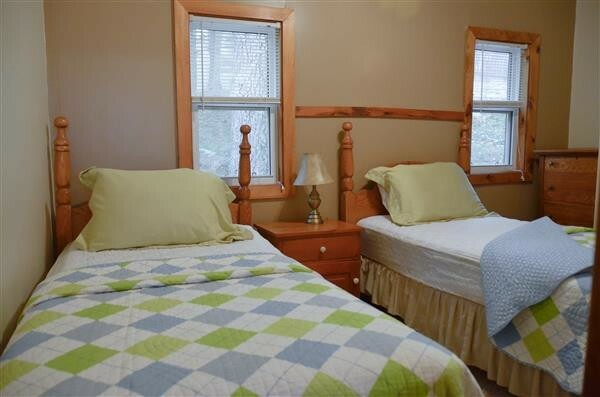 1 has a queen size bed and bedroom no 2 has two single beds and also a double pull-out sofa in the living room. The ensuite bathrooms make this accommodation very attractive. Guests enjoy the large covered deck of Twin Verandas which seems like an extension of the cottage. The close proximity to the water’s edge and it’s secluded location on the southwest corner of the property makes these accommodations very attractive. 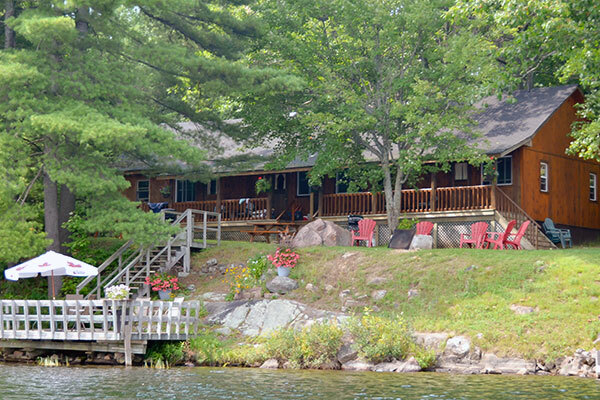 The spacious lawn area in front of the cottage as well as the private deck on the lake provides the perfect place to relax and soak up the sun. 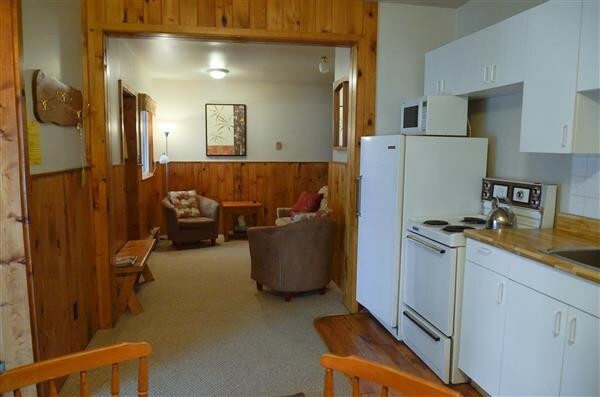 It enjoys a shared campfire area for evening campfires.